Bread baking is an art and there are many different ways to bake a loaf of bread, and endless ingredients that can be added to the bread. 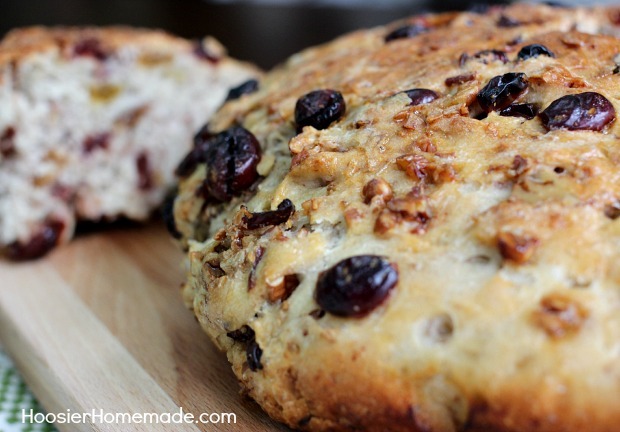 This Harvest Bread Recipe is one of the easiest homemade bread recipes you will ever bake. 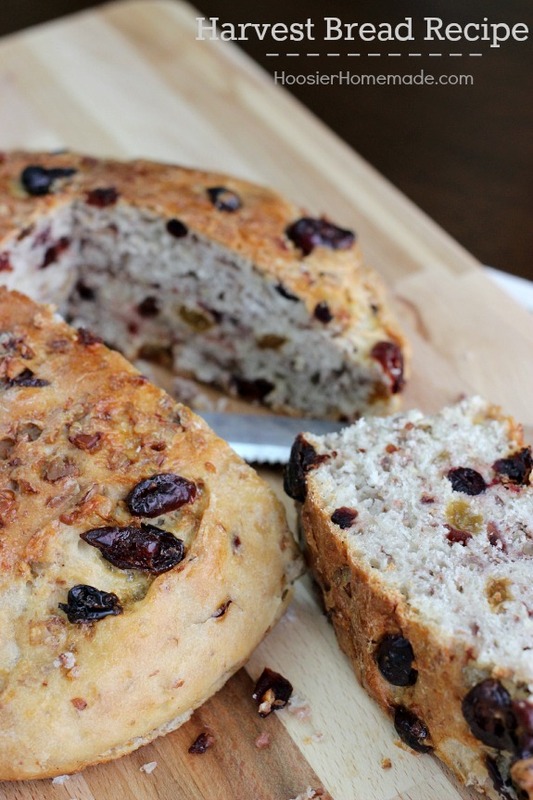 It’s filled with golden raisins, dried cranberries and pecans to give it a delicious wholesome flavor. Bread baking is something I don’t do often, and honestly, I’m not quite sure why. Every time I bake a loaf, whether from scratch or in my bread machine, I fall in love with bread baking all over again. There is something exciting about putting together flour and yeast and creating a loaf of bread. 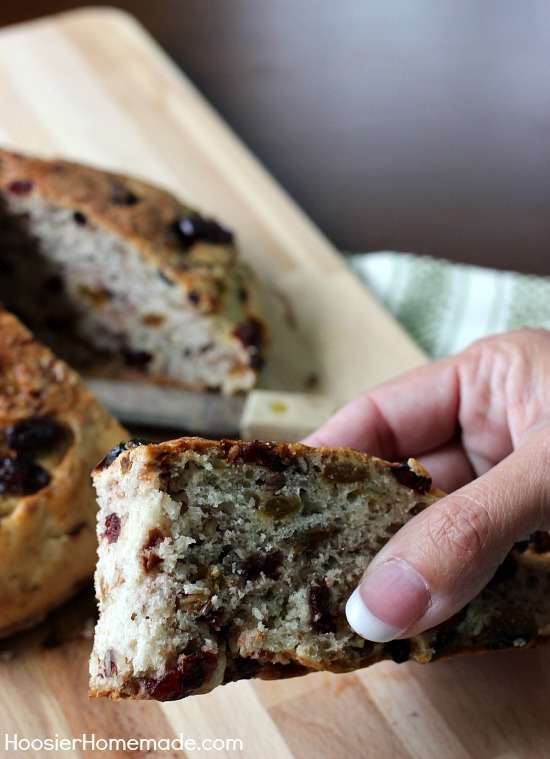 If you are looking for a crusty, yet soft in the center bread filled with the flavors of the season, then this Harvest Bread Recipe is for you! 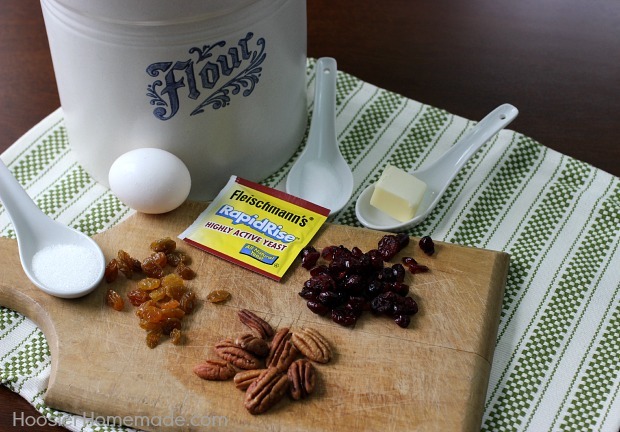 And it couldn’t be any easier, with no kneading required, it goes together in minutes. If you’re intimidated at the thought of baking with yeast, with a bit of patience, precision and the right yeast product, you’ll be pulling loaves of freshly baked, homemade bread out of the oven in no time! Don’t forget the butter. 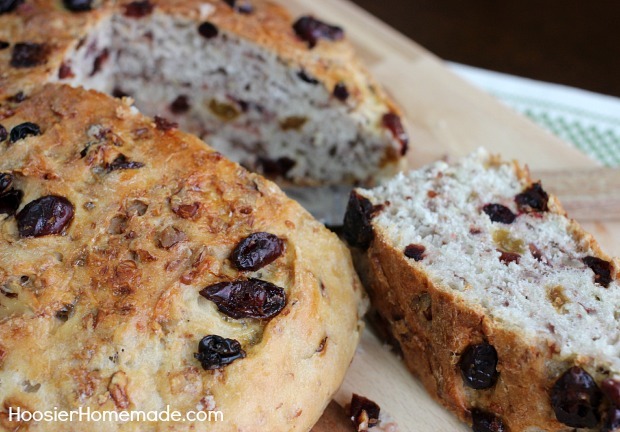 Recently I took on the Fleischmann’s challenge to take their Harvest Stuffing Bread and change it up. While it sounded delicious, since it’s December, I wanted to add some ingredients that would be perfect for this time of year and the holidays. So instead of the poultry seasoning and other spices, I added golden raisins, dried cranberries and pecans, and was thrilled with the outcome. This Harvest Bread would make a wonderful Christmas gift as well, perhaps pair it with a jar of homemade apple butter or strawberry jam, place it in a basket with a pretty bow and you have a wonderful gift to show how much you care. 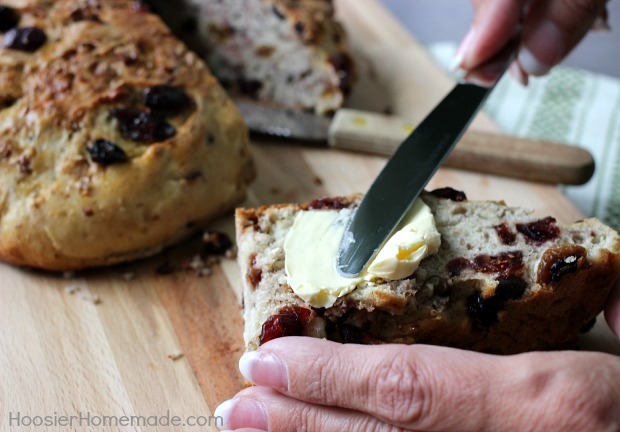 This comforting Harvest Bread goes together in a snap and is delicious.